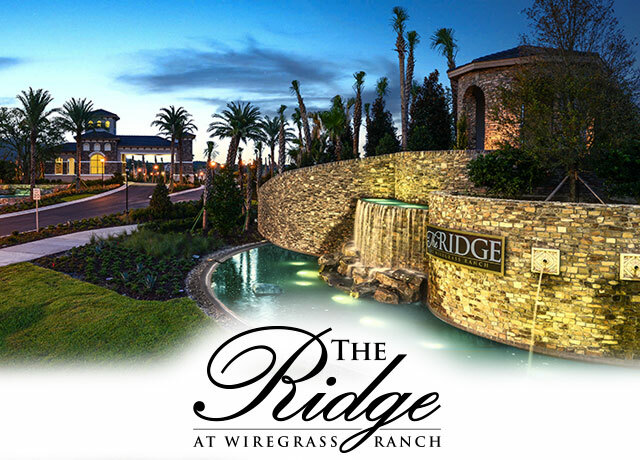 The Ridge at Wiregrass Ranch, a new gated luxury community in fast-growing New Tampa offers fresh, original home designs and first-class amenities found at word-class resorts. The 562 three to six bedroom Mediterranean-styled single-family homes — ranging from1,700 to more than 5,000 sq. ft. — feature sophisticated and fashionable characteristics, such as gourmet kitchens with granite countertops and stainless steel appliances. Ridge residents also have access to a impressive 12,000 sq. ft. clubhouse and lifestyle facility that has a meeting area for social activities, a catering kitchen, indoor sports complex, game room, multi-purpose fitness room for group activities, and a state-of-the-art fitness center. 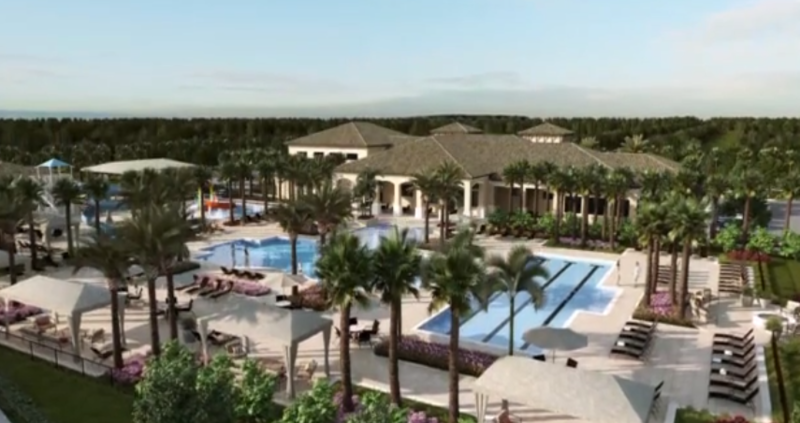 There’s also a 5-acre recreation area with a covered patio that overlooks a resort-like pool. The outdoor area also provides beach entry, a water slide, fire pit by the pool, a lap pool, and a wet play activity center for the kids. The facility also has one full court basketball court, four lighted clay tennis courts, one beach volleyball court, shaded tot lot, open play field and party pavilion. Plus, a full-time, on-site Social Director makes sure residents enjoy an abundance of social activities including clubs, events and more. Residents also have convenient access to shopping, dining, beaches — and three top-rated schools: Sand Pine Elementary, Dr. John Long Middle School and Wiregrass Ranch High School. Pasco Hernando State College is also within walking or biking distance. If you want to discover all that The Ridge has to offer, call us today at 813-431-2840. We are here to help you find a home that perfectly meets your needs in a community you love. We’ve sold over 4800 homes in the Tampa Bay Area, and our experience, commitment, desire to exceed expectations, and best-in-class customer service ensures a successful home buying experience.